Earlier this week, I had the honor of presenting “Cannabinoids for Fitness” at the Cannabis Science Conference East in Baltimore, MD. The Cannabis Science Conference is the world’s largest and most technical cannabis science expo. It pulls together cannabis industry experts, instrument manufacturers, testing labs, research scientists, medical practitioners, policy makers, and interested novices with the goal of improving cannabis science. It was an incredible educational conference and I’m proud to share some of our presentation data with you today! Research is showing that cannabinoids found in the cannabis plant have several medicinal properties. 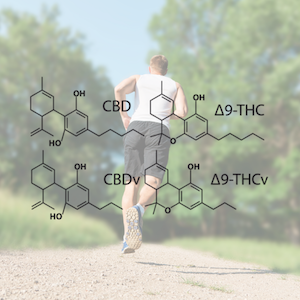 The specific properties of these individual cannabinoids can be taken advantage of to compliment and even boost efforts to begin or maintain a healthy and active lifestyle. For some, consuming cannabis has been said to align focus and create a stronger mind/body connection, allowing for increased neuromuscular control. It aids in recovery by reducing pain and inflammation and encouraging restful and restorative sleep. There are two types of cannabinoids, endogenous and exogenous. Endogenous cannabinoids are produced naturally inside the body. Exogenous cannabinoids come from outside the body, like the cannabinoids found in the cannabis plant. 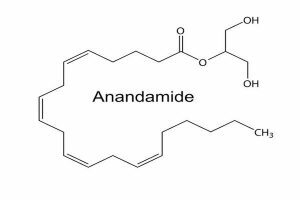 Anandamide is an endogenous cannabinoid we produce on our own. It has been associated with being a natural anti-depressent and causes the bliss from exercise, often referred to as a “Runner’s High.” This is one of the reasons regular exercise and physical activity is recommended to help improve mood and mental health as well as physical health. The cannabis plant produces over 160 different exogenous cannabinoids. 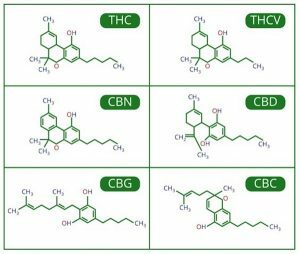 Some of the most commonly talked about are THC, CBD, CBG, CBC, CBN, and THCV. Each of these cannabinoids have medicinal properties that can be used to benefit a healthy and active lifestyle. THCV, for example, is being shown to specifically help with weight loss. A study on THCV, published in the Journal of Nutrition and Diabetes, concluded, “the two highest doses of THCV resulted in a less strong but nevertheless statistically significant reduction of body fat mass.” This indicates a strong relationship between THCV and our metabolism. By combining a consistent exercise routine along with the proper exogenous cannabinoids found in cannabis, you will be on the right path to reaching your health and fitness goals. Remember, each person is different, so each cannabinoid can have a slightly different effect depending on the person. Start slow, and experiment with different cannabinoids and fitness routine combinations to find what works best for you.